THURSDAY, May 4, 2017 (HealthDay News) -- The antioxidant resveratrol -- found in red wine, peanuts and berries -- might improve the health of blood vessels in people with type 2 diabetes, a small study suggests. The study found that resveratrol supplements lessened artery stiffness in some people with type 2 diabetes. Stiffening of the arteries, called arteriosclerosis, raises the risk of heart attack and stroke. "In treatment with resveratrol among people with diabetes, there was a trend toward improvement in the stiffness. And in people with higher stiffness there was more of a benefit," said lead researcher Dr. Naomi Hamburg. She is chief of the vascular biology section at Boston University School of Medicine. While the research suggests there might be ways to improve blood vessel abnormalities in people with type 2 diabetes, it's too soon to recommend resveratrol for that purpose, said Hamburg. "We would need a longer study to look at whether this is going to reduce heart attacks and stroke," she added. "But I think this is evidence to support future research." For now, Hamburg said, "the overall recommendation is to have a diet that's rich in fruits and vegetables." As you age, your arteries stiffen, which can lead to an increased risk of heart disease. In people with type 2 diabetes and obesity, this process starts earlier and can have more severe consequences, she said. The body's largest artery is the aorta, which carries blood from the heart toward the rest of the body. For the study, the researchers measured the aortic thickness of 57 patients with type 2 diabetes (age 56 and obese, on average). The investigators also conducted tests to measure blood-vessel health. Some patients were given resveratrol supplements, while the others were given a placebo. Overall, the study found a trend toward less aortic stiffness in participants taking resveratrol supplements, but it wasn't statistically significant. However, in a subset of 23 patients who had an exceptionally stiff aorta at the start of the study, 100-milligram (mg) daily doses of resveratrol for two weeks reduced stiffness nearly 5 percent. That regimen was followed by 300-mg doses over two weeks, which decreased stiffness by 9 percent, the researchers said. Aortic stiffness increased among those taking a placebo for four weeks, the researchers found. In animal studies, Hamburg said, resveratrol has been shown to activate a gene (SIRT1) that appears to delay aging and development of several diseases. To see if the same thing would happen in humans, the same researchers took samples from the blood-vessel linings of seven patients and looked at SIRT1 activity. They found that gene activity increased slightly after resveratrol supplementation. This doesn't prove that reservatrol activates the longevity gene, only that there was an association. Still, another scientist welcomed the new findings. "We know that people who drink red wine and eat nuts live longer, but why?" said Dr. Byron Lee, a professor of medicine at the University of California, San Francisco. "It's exciting to see scientists now starting to unravel this mystery." This study shows that a natural antioxidant in these foods can reverse age-related changes in the arteries, said Lee, who wasn't involved in the study. "Impressively, the effect was seen after just a few weeks of treatment. Who knows what more prolonged antioxidant treatment could do to the arteries and other organs," he said. Many people obtain resveratrol in their daily diet. 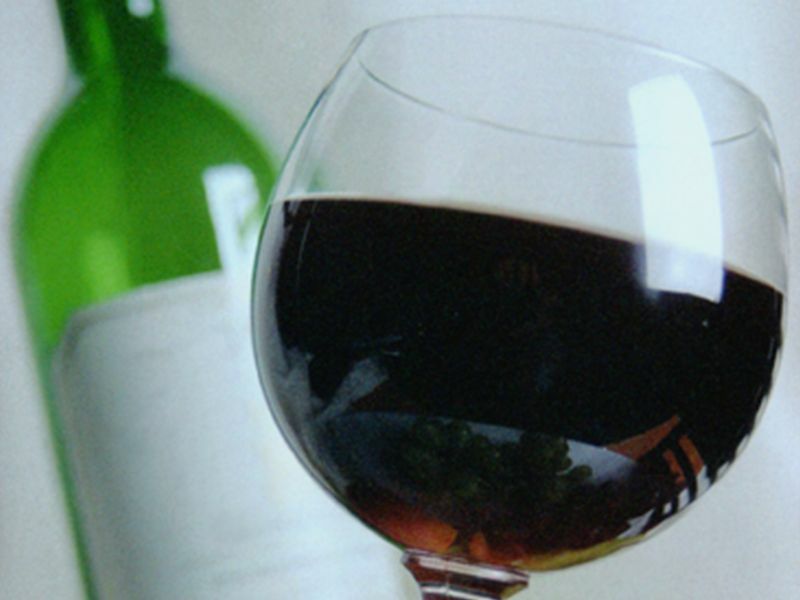 However, Hamburg pointed out that the doses of resveratrol used in the study were much greater than exists in a glass of red wine, a major dietary source of the antioxidant. The study was funded by the U.S. National Heart, Lung, and Blood Institute and the U.S. National Center for Complementary and Integrative Health. The results were scheduled for presentation Thursday at a meeting of the American Heart Association, in Minneapolis. The research should be considered preliminary until published in a peer-reviewed medical journal.